I bought this for the cover. So great that Kitty, Illyana and Rachel all made the cover, if only Lockheed did too! 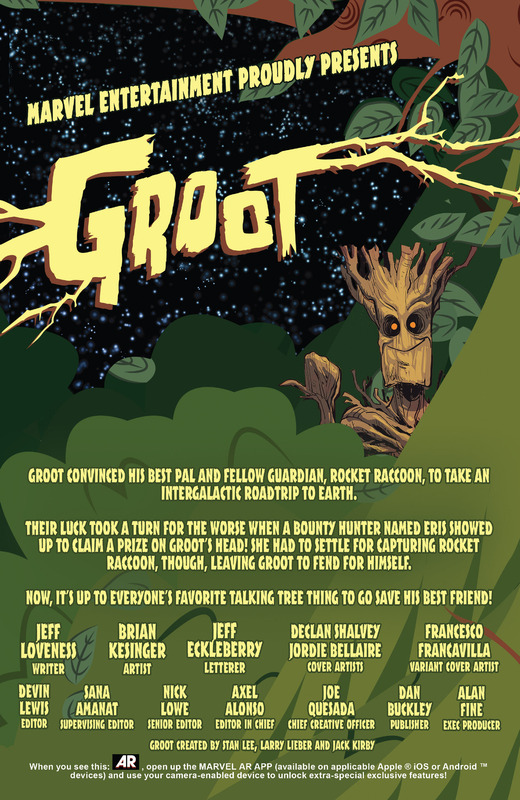 Last issue, Groot and Rocket were on their way to Earth when a bounty hunter, Eris, captured Rocket and now Groot has to get him back. Issue opens with Grrot’s fantasy of Earth superheroes, all appearing like Groot and all speaking his language. 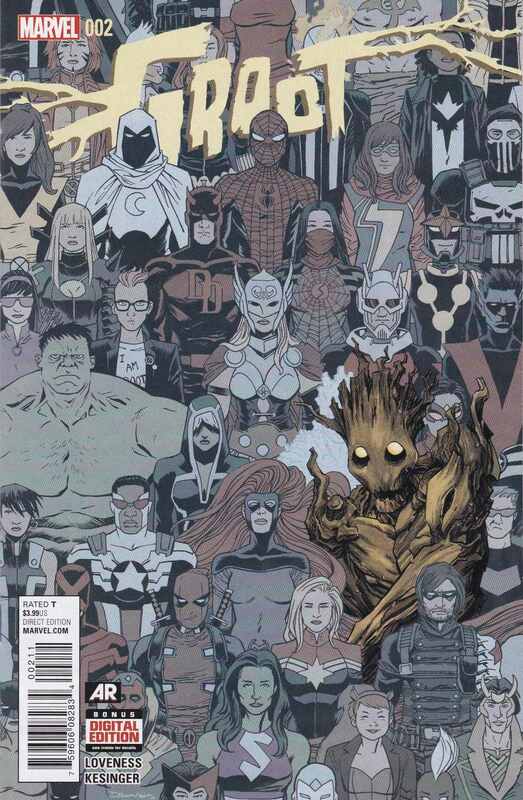 We see Groot inspired – Hulk, Spider-Man, Wolverine, Iceman, Falcon, Iron Man, Scarlet Witch, Cyclops, Black Panther, Howard the Duck, Thing, Doctor Strange, Elektra and Utau the Watcher. The fantasy continues as we see – Galactus, Captain America, Thor, Human Torch, Invisible Woman, Colossus and Storm. This series takes place prior to Secret Wars 2015. Turns out, this sequence was brought on due to Groot getting hit by a space bus. Groot falls off the buss and we get a flashback to how Groot and Rocket met each other. Years ago. These jerkwad guards are harassing Groot, as he can only say – I am Groot. Groot has enough and fights back, and is thrown into, The Pt. In there, is also Rocket. They spend so much time together, that Rocket eventually learns Groot’s language. One day, the power goes out and Rocket and Groot fight a slew of guards and escape the prison. The Letters page – Looseleaf – has letters from Mason, Cathy U, Anthony B, Jose S, Kevin Dean and Paul Abramowitz. I sent an e-mail to mheroes@marvel.com – we will see if it gets printed.